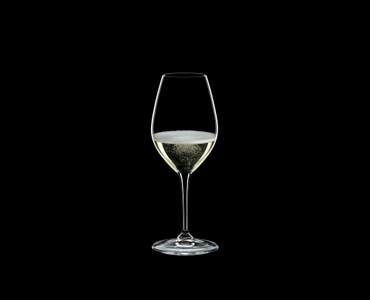 The classic machine-made Champagne wine glass of the established glass collection RIEDEL Restaurant should be part of the basic equipment of every sophisticated restaurateur. This glass allows the wide range of Champagne to unfold. The larger rim diameter enables the aromas of Champagne to be released, in a way which is not achieved when using a narrow flute. The glass also includes a 'sparkling point' to aid the formation of the Champagne bubbles. The RIEDEL Restaurant collection features special glass shapes and sizes for fine wines and spirits. All RIEDEL glasses are dishwasher safe.